Fanatics is an Affiliate Summit Pinnacle Award Finalist! You are here: Home / Affiliate Program Updates & News / Fanatics is an Affiliate Summit Pinnacle Award Finalist! The Affiliate Summit Pinnacle Awards are like the Oscars or Emmy Awards of the Affiliate Marketing Industry, with nominations coming from Industry members and voted on by the Affiliate Summit Advisory Board. The 2017 Pinnacle Award Finalists were announced on Monday 12/19 by Affiliate Summit Co-founder Shawn Collins along with some percussion stylings. The Fanatics affiliate team received a pair of nominations including Exceptional Merchant of the Year for Fanatics.com and Affiliate Manager of the Year for Wade Tonkin. This is the 4th straight year where Fanatics has been a finalist for the Exceptional Merchant of the Year and the second Affiliate Manager of the Year (2011) Finalist appearance for Wade Tonkin. 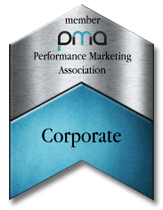 We take serving our affiliate partners and vendors and being good citizens in our industry seriously and we’re humbled and honored to be recognized by our industry. Winners will be announced before the Tuesday opening Keynote by Sean Dolan of Pushfire on Tuesday, January 17th at Affiliate Summit West to be held at the Paris Hotel and Casino in Las Vegas.